Why Does Your Skin Needs Extra TLC After Tanning? What Lotion Should I Use After Tanning? 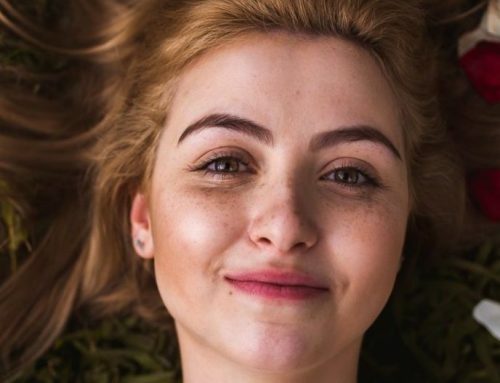 You may know that you need to take steps before and during your tan to get your best glow, but did you know what you do after has an effect on how your skin looks? One of these steps includes keeping your skin hydrated and moisturized by using an after tanning lotion. Taking care of your skin properly after getting your skin beautifully tanned is essential to keep your glow looking its best and lasting as long as it can. This applies for whether you tan outdoors, get your deep color in a tanning salon bed, or you use products that don’t involve UV. Your after tanning skincare routine can also make a difference if your skin has gotten burned by UV rays or had a reaction from sunless tanning products. The most important thing you can do is to keep your skin hydrated and one of the easiest ways to do this is to use a great moisturizer. Well, how do you know which products are the best after tanning lotions? We’ve got you covered. We have found the 10 best after tanning lotions to keep your beautiful glow looking its best. Of course, we have all the other information you need like why you need to take special care after you tan and all about the different tanning products. Are you ready to learn everything you need to know about keeping your skin hydrated? To understand why your skin needs some extra TLC after you tan, let’s first talk about how tanning works. When tanning outdoors, your body is exposed to the sun and UV rays and that is how your skin gets its glow. Tanning beds and other similar devices also expose your skin to UV rays to help your skin tan. Whether you are tanning out in the sun or going to a tanning salon and using a light, both expose your skin to UV rays. UVA and UVB rays are what is associated with tanning. UVB rays are can cause sunburn as they burn the upper layers of the epidermis. The epidermis is the outer layer of your skin. UVA rays are the radiation that causes your skin to tan by penetrating the lower level of the epidermis. UVA is what activates melanocyte cells in the skin to produce melanin. Melanin is the pigment that gives your hair, skin, and eyes their color. It is also your body’s way of trying to protect your skin from burning, although this does not mean that you cannot burn with a tan. It also cannot protect you against skin cancer, premature aging, or other conditions that result from sun damage. To learn more about UV rays and their effects on skin check out this article from the CDC. Using a sunless tanning product that does not expose your skin to UV rays is a safer option when comparing the risks of being in the sun or using a tanning bed, but we are sure you know that already. Sunless products come in multiple formulas, including mousses, airbrushes, oils, and lotions. These fake tanning products use a chemical called dihydroxyacetone, or DHA. 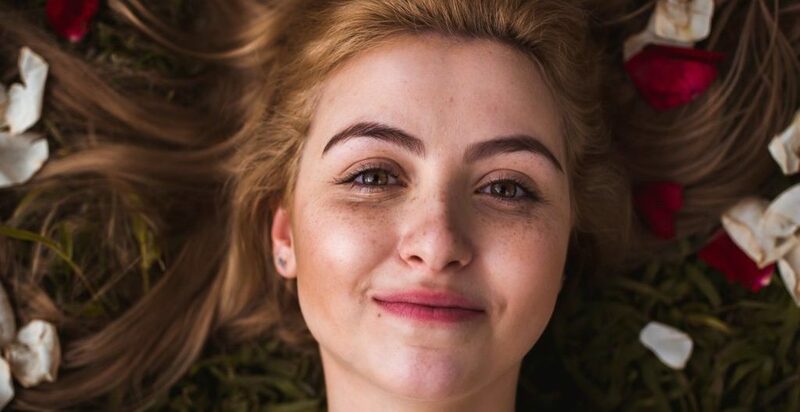 This is the active ingredient that reacts with your skin cells on the epidermis to darken your skin temporarily, which simulates a tan that lasts for a few days. While this chemical process may not pose the same risk as sun and tan bed tanning, your glow will benefit from after-tan care. After tanning, either with or without UV rays, your skin is much more vulnerable, dehydrated, and possibly irritated. UV rays will typically cause the most stress to your skin. Another thing to keep in mind is, if you have been tanning outside, what other activities have you been doing. Chlorine, salt, and sand can add to the irritation of skin. So what steps do you need to take to have the perfect after tanning routine? Rehydrating your skin is very important to keep your skin looking its best. After tanning with UV rays your skin becomes dehydrated because it decreases the water that is in your body. TIP: If you are planning on spending the day by the pool or on the beach, be sure to drink plenty of water. This will help your body, including your skin, stay hydrated! Your skin may have also been burned during your tanning session. This is another reason for special treatment because those areas will need to be properly treated and soothed. Your skin can still need some extra care even if you are tanning using a sunless tanner. One reason is that a common side effect of the chemical DHA found in these products is drying of the skin. After your tan, you also want to try to maintain that warm glow for as long as possible. There are certain products that are specially formulated to help extend your tan. We have a few of our favorites below and we also explain what tan extenders are further down too. The best way to bring moisture back to your skin is to use one of the best after tanning lotions. After tanning lotions are formulated specially for moisturizing your skin after being exposed to UV rays. Some are even made to help calm and cool sunburns. By keeping the skin moisturized and hydrated, you ensure that your skin is ready for your next tanning session. Moisturized skin absorbs light better and helps the tan develop faster. There are also after tanning moisturizers that are meant to extend your tan. These products are categorized as tan extenders. So, how do you know which type of lotion to use? You know that you want a lotion with something moisturizing but how do you decide which moisturizer to use? Your skin type and how you are tanning determines what type of lotion will be best. There are also certain ingredients to look for in your after tanning moisturizer to ensure that your skin is being properly treated. Some great hydrating ingredients found in the best after tanning moisturizers are vitamin E, shea butter, omega 3 and 6, and coconut oil. Also, keep an eye out for humectant ingredients that will help keep the water in your skin, like glycerin. Hemp seed oil is another moisturizing ingredient often found in after tanning lotions. The fatty acids found in hemp seed oil help mimic the skin’s natural lipids, which is why it is such a great ingredient in after tanning lotions. TIP: If you are tanning indoors and use UV lights to get your deepened color, you probably already use a tanning lotion to help get a better color during your tan. You can always ask your salon attendant if they recommend an after tanning moisturizer to compliment what you use while you are tanning. Want to see our top picks for tanning lotions? Check out our post here. If you have been tanning using UV rays and your skin became red or sunburned, look for ingredients that are meant to be cooling, calming, and anti-inflammatory. One of the most common ingredients you will see in the best after tanning lotions is aloe vera because it is calming on the skin and helps to keep the skin moisturized. Another ingredient to look for in your after tanning lotion is bisabolol, which is an anti-irritant meant to soothe the skin. Zinc gluconate is another soothing ingredient that will help your skin to heal. TIP: Feeling really burned after your tanning session? Try using a cold compress on the area. You could also try using an over the counter steroid treatment like hydrocortisone to help decrease the inflammation. Those that suffer with dry skin will want to pay extra attention to the ingredients in their after tanning lotion. Look for those skin loving, hydrating ingredients. Thicker formula lotions may also benefit you, just be aware that the heavier the formula the less refreshing your after tanning lotion will feel. If your skin is more on the sensitive side or has been severely irritated by the sun, we recommend a lotion that is free of fragrances as these can cause more aggravation to the skin. 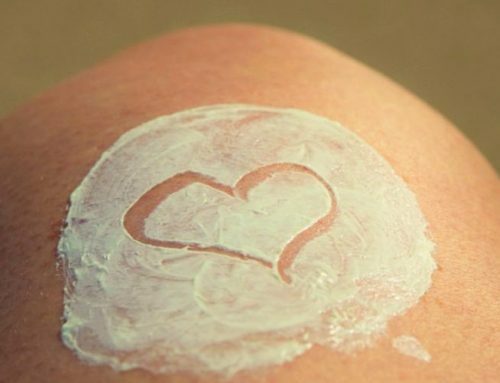 TIP: Some after tanning lotions contain SPF to help keep your skin protected from sun damage, which is great! Just keep in mind that the same rules apply and the SPF will have to be reapplied as usual. Beware of after tanning lotions that contain drying ingredients like different formulations of alcohol. Another ingredient to beware of is mineral oils as these do not allow the skin to breathe. Mineral oil creates a barrier over the skin to keep moisture in, which also means it locks in the heat. This could possibly cause increased pain, sensitivity, inflammation, and redness. And isn’t that contrary to the reasons you using an after tanning lotion? If you got your glow through airbrushing, lotion, mouse, or other UV free options, there are other special things to avoid in your after tanning lotion. Stay away from oil-based moisturizers as these may cause your deepened color to fade faster. So can products with alcohols and fragrances. Using a basic and simple moisturizer is your best bet for keeping your skin and tan looking its best. You may have heard of tan extenders and wondered what they are? Well, it is all in the name, these products help to extend your tan. These products nourish your skin with great ingredients like vitamins to help your tan last longer and lock your color in. Tan extender can be used for those that sunless tan and those that get their color from UV rays. Some tan extenders contain small amounts of DHA to help keep your tan by gradually building color. Others contain some bronzer that enhances your tan. Using a tan extender also helps to moisturize your skin and keep it looking. Here is a video that will let you know a little more about how to care for your skin after tanning. This after tanning lotion is meant to leave your skin silky and smooth while helping to firm and tighten. 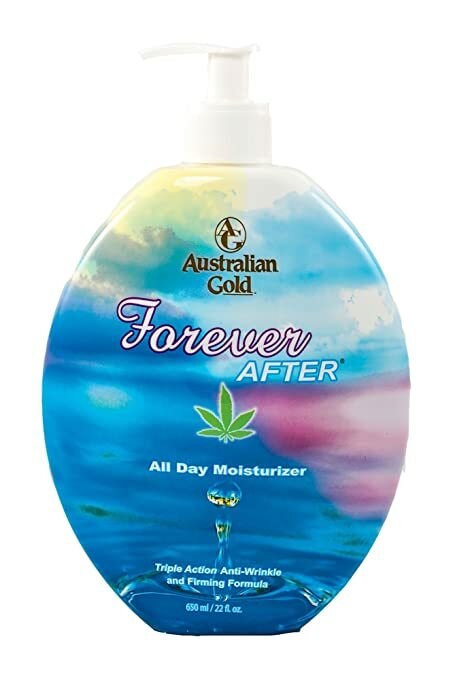 Forever After All Day Moisture contains a “lipocare miracle complex” that is meant to minimize UV related skin damage such as cellulite and collagen loss. This moisturizer utilizes the power of hemp seed oil to provide your skin with hydration and omega 3 and 6. It also contains a special formula-amplified moisture blend to help your tan last without peeling or flaking and keep your skin hydrated for 24 hours. The soothing lotion helps with burns and irritation. The formulation is not too oily and works for all types of tanning. What is really great is the delicious french-vanilla fragrance that lingers on your skin well after application. Who doesn’t want to smell yummy? Want an entire pack for all of your tanning needs? Well, this has everything you need. 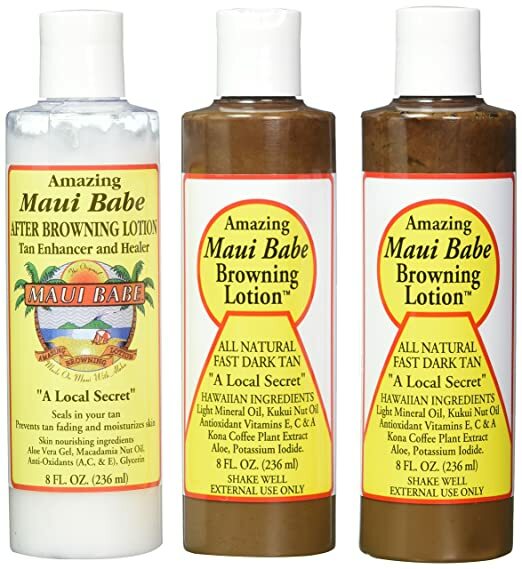 This tanning pack from Maui Babe includes their browning lotion check out our review for this great lotion here, their great SPF of 30, and an after tanning lotion. All products are produced in Maui Hawaii- obviously they know about tanning, are water resistant, meant to work together, and won’t irritate those with sensitive skin. The after browning lotion helps to moisturize and heal damaged skin with great ingredients like macadamia oil and aloe vera. It helps skin from peeling while locking in your tan. The after browning lotion also gives you very soft skin, so you can use for more than just after tanning. It makes a great moisturizer for dry conditions. 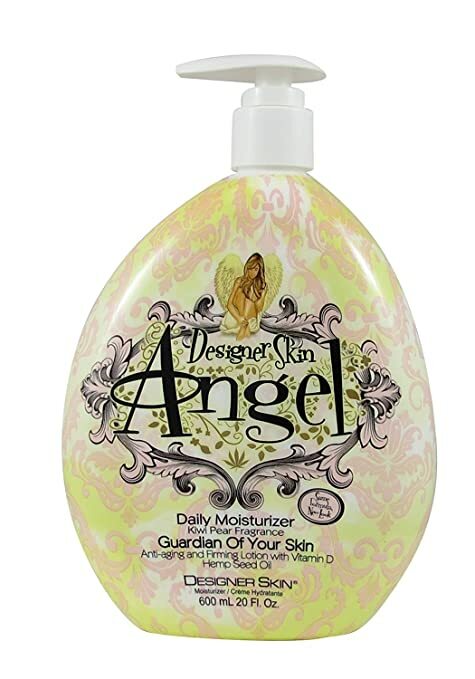 This after tanning lotion says it all in the name, it is meant to give you angel soft skin. With ingredients like vitamin D, E, and C, hemp seed oil, and avocado oil, your skin will feel nourished and refreshed after your tanning session. In fact, it was formulated to help your skin feel silky, even if you tan frequently. White birch extract is also on the ingredient list, which helps your skin to become firmer. 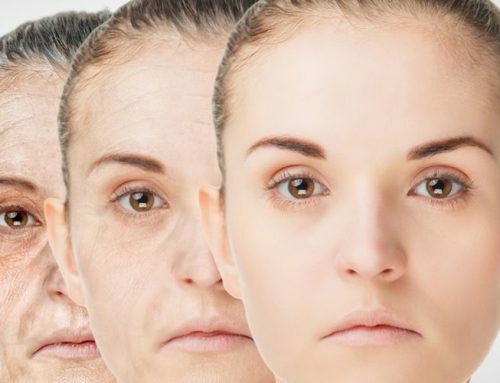 The effects of premature aging that UV rays can cause may also be treated with this product. This Designer Skin moisturizer includes phytoage and alpha lipoic acid, both anti-aging ingredients. This after tanning lotion has a kiwi pear fragrance and great reviews on Amazon. 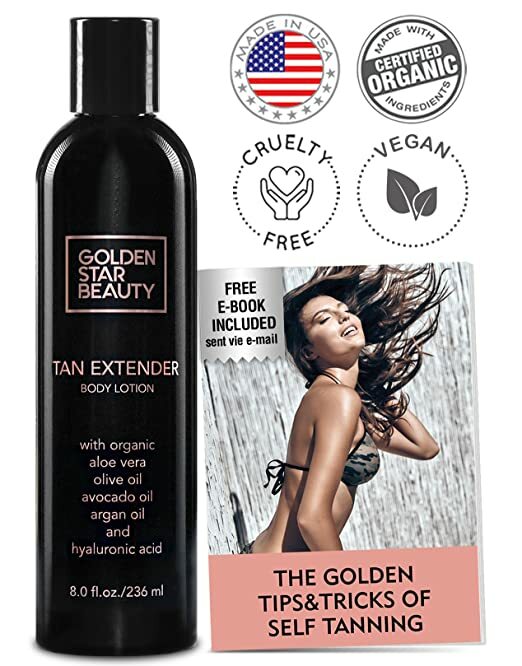 The Golden Star Beauty Tan Extender is a certified organic product that will help your color last longer. The fade fighting formula will help to extend the life of your tan and keep your skin properly hydrated. Aloe vera, argan oil, avocado oil, olive oil, hyaluronic acid, and vitamin B helps to keep your skin looking its best. Whether you tan outside, in a tanning bed, or you use sunless tanner, this tan extender will help your glow last longer. 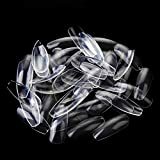 They recommend to use it with their tanning oil, which you can find here ( can we add an affiliate link here?). Golden Star uses their fade fighting technology to give you the best results. 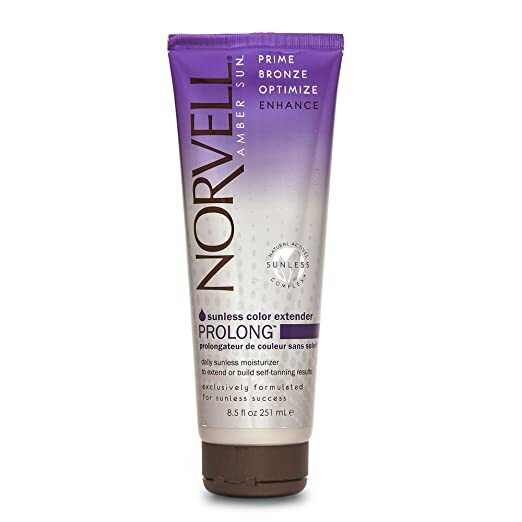 This tan extender will leave your skin smooth and soft. A little goes a long way with this product, so start with a small amount. Hawaiian Tropics Silk Hydration Moisturizing After Sun will give your skin the refreshing hydration your skin needs. This is a great choice for those that are prone to sunburns. It is also good for sensitive skin. The after tanning lotion has moisturizing ribbons that are infused with aloe to provide you with up to 24 hours of hydration. A tropical, beachy scent of coconut and papaya will cover your skin. The formula light and not sticky, which is great for after the day in the sun. This moisturizer uses the power of hemp to keep your skin hydrated. The fatty acids found in hemp seed oil help mimic the skin’s natural lipids which is why it is such a great ingredient in after tanning lotions. This formula is also free of parabens and has a delightful pineapple vanilla scent. But looking at the ingredients list it does contain a form of alcohol. Even though it does contain that drying ingredient, it is very moisturizing after tanning and many reviewers even say it works well for other skin conditions. 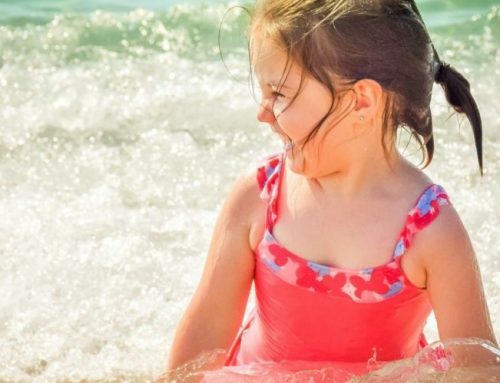 One reviewer even said it helped to clear her daughter’s eczema. This after tanning lotion is formulated to use on the delicate skin of your face and décolleté. Clarins is known for great skin care, so you can feel good about putting this on your face. Did you not apply your SPF well enough to your face and neck? This moisturizer can help. It can soothe your skin after irritation from UV ray, by actually helping to cool your skin. This product will help to reduce redness and peeling. 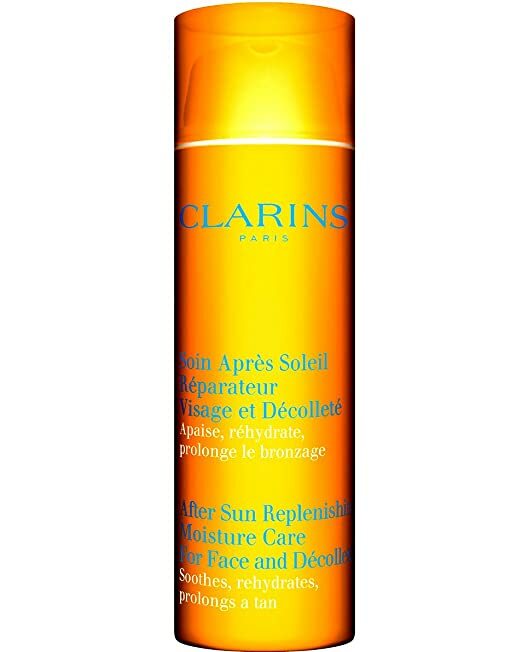 Clarins Sun Replenishing Moisture Care will help you shorten the sunburn phase and get to tanned skin. 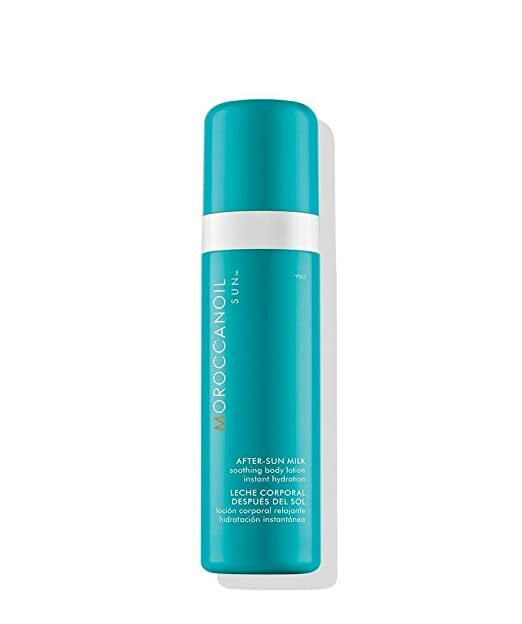 Moroccanoil After Sun Milk is a lightweight after tanning lotion that is meant to boost and extend your tan while nourishing and moisturizing the skin. The ingredients list includes aloe to soothe your skin, argan oil rich in antioxidants, and hydrating vitamin E. It is also free of mineral oil. Coconut oil and passion fruit oils are found in this product. This After Sun Milk has a luxurious Monoi scent. This is great for all skin types and feels great for those with sunburns. Although this certified organic product is marketed as a gradual self-tanner, it makes a great tan extender. Vita Liberata Fabulous Gradual Self Tanner will continue to build color after you tan. The formula gradually darkens skin while keeping it hydrated. It provides 72-hour hydration! The ingredients list includes skin loving ingredients such as marula oil, aloe vera, and vitamin C and E. Lychee is included which helps keep your skin from premature aging. Licorice is also on the list to help reduce inflammation and soothe the skin. This after tanning lotion goes on clear and is meant to be transfer free, so it will not get on your clothes or sheets! If you used a tanning product to get a fake tan and it turned out uneven, this self-tanner can help to fix it without appearing too dark or out of place. You will feel and look fabulous using this gradual tanner to help moisturize your skin after tanning and keep your color looking it’s best. There are a lot of steps to getting the perfect tan and taking care of your skin afterward is an important one. The best way to keep your tan looking great is keeping your skin moisturized and hydrated. 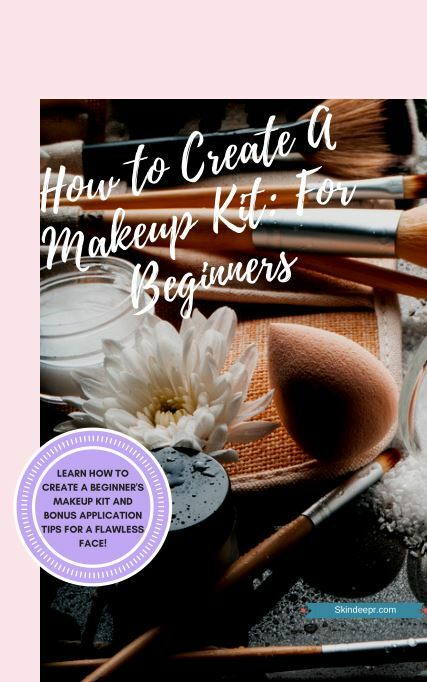 To do this you have to use an after tanning lotion with ingredients that will nourish your skin, some will even help your deep color from fading. You know what to look for now to keep your glow looking great for days after your tanning session. What is your after tanning routine? Do you have a favorite after tanning moisturizer? Let us know down below.